Jenny Morgan studied at Camberwell College of Art in the 1960’s before travelling extensively as she gained a sound knowledge of the sea and ships. Her work emotively responds to the untamed element of the sea and its inspiring changing moods. 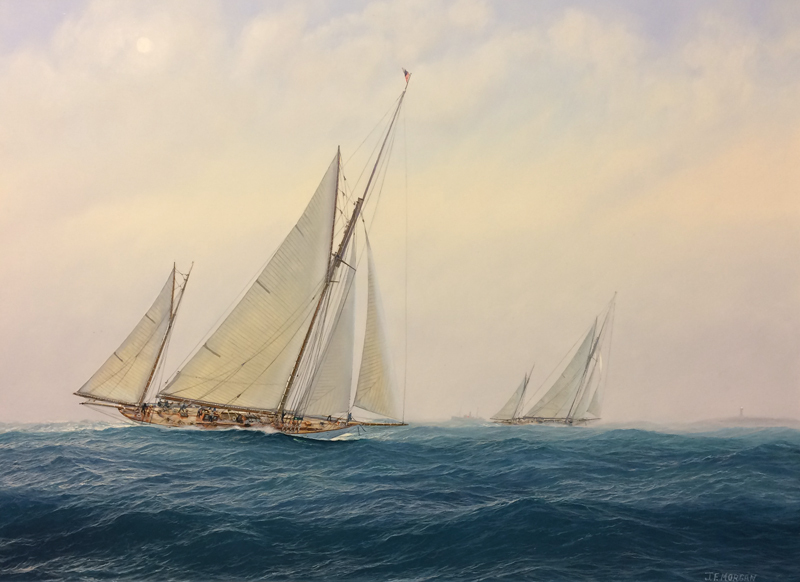 Accurate portrayal of ships - from fishing trawlers, to tall ships, and classic yachts - is as important to Jenny as the more random freedom of moving water in creating overall composition. Working mainly in oils, but sometimes using gouache on heavy paper - and always using brushes - Jenny uses research material to work up sketches, then transfers those ideas onto canvas. 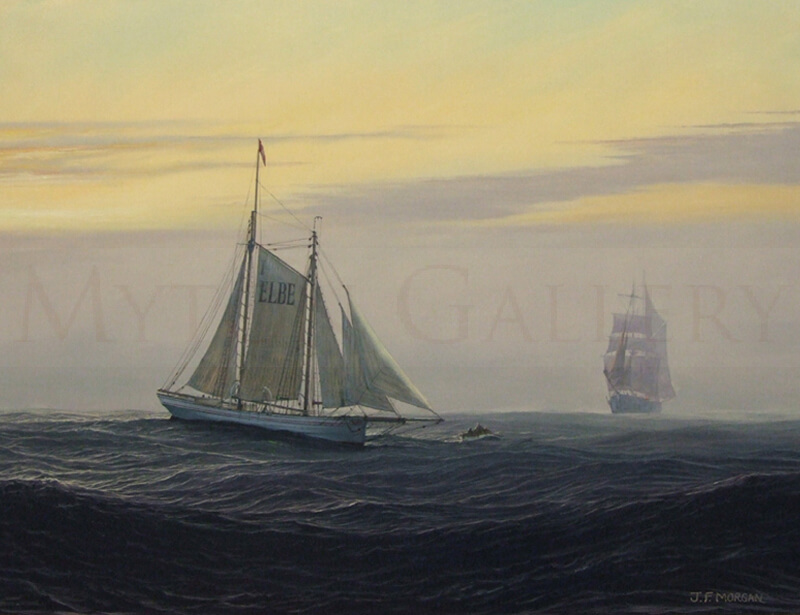 Jenny is a Member of the prestigious Royal Society of Marine Artists, and received The Derek Gardner “Deep Seas” Award at the R.S.M.A.’s annual exhibition 2011 at the Mall Galleries, London. 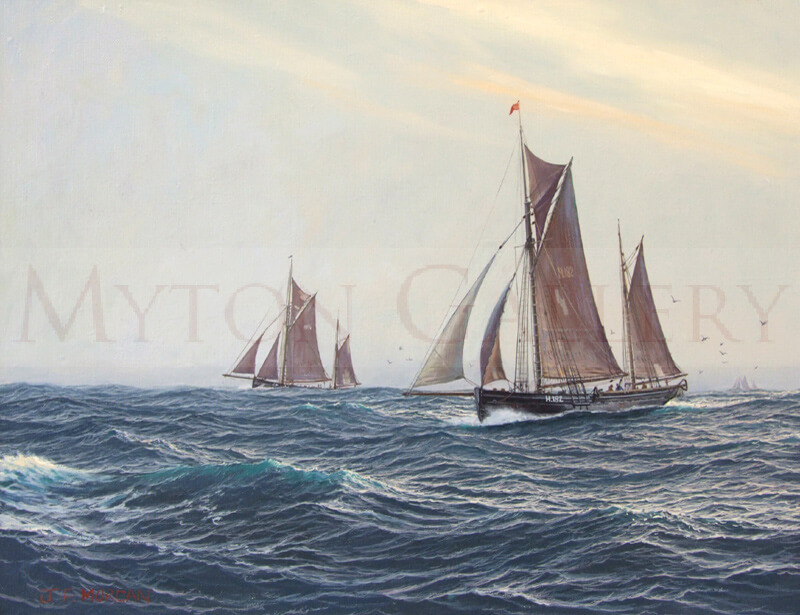 Other honours include: 2007 RSMA Annual Exhibition, Mall Galleries - Classic Boat Magazine Prize. 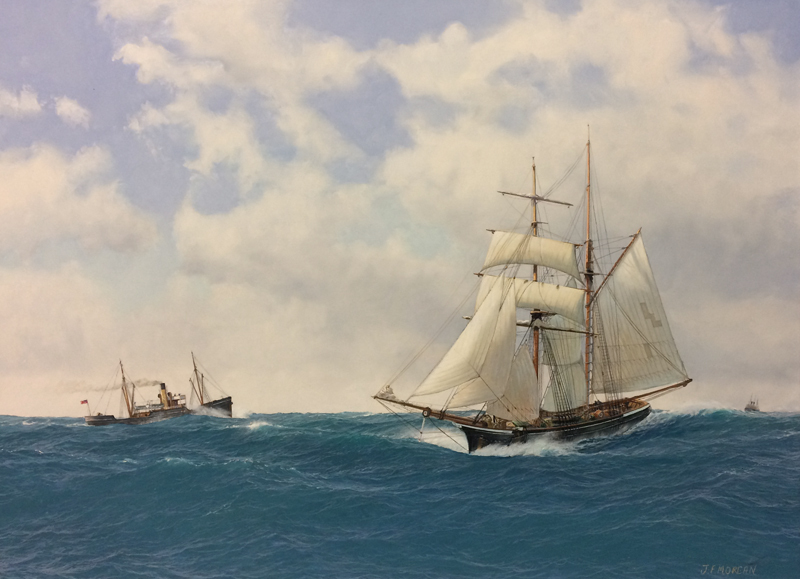 Included in ‘A Celebration of Marine Art’, the Royal Society of Marine Artists book. Listed in Who’s Who 32nd edition. Jenny has completed private commissions for clients in Canada, USA, Switzerland, Australia and the UK and has work in private collections throughout the world.